I’ve bought a new hat it’s white and floppy, with a circumference something like the rings of Saturn. It’s perhaps a smidge out of place in King Shaka International, but just you wait till we’re strolling along on deck, I tell my somewhat embarrassed head. As we pull up quayside at Durban harbour, there’s a distinct holiday spirit in the air that has a little to do with the balmy heat, but almost everything to do with the Brobdingnagian (there’s a word for you) vessel docked beside us. 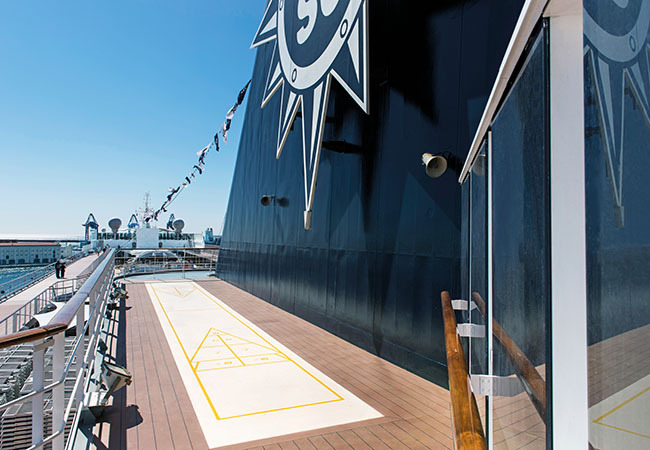 The Sinfonia, all 13 gleaming decks of her, may be one of the smaller ships in MSC’s fleet of cruise liners, but you’d never guess it from the pier; she towers over the ant-like figures snaking their way on board. 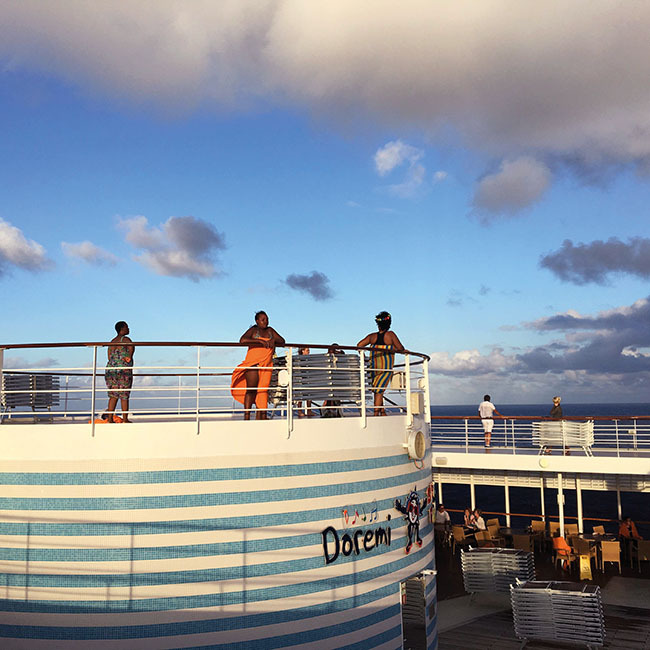 Some of the passengers are already up on Schubert (or Deck 13, for the landlubbers), waving down at friends, and it’s getting harder not to feel like I’m in the opening scene of Titanic. Rose DeWitt Bukater would definitely have rocked this hat. 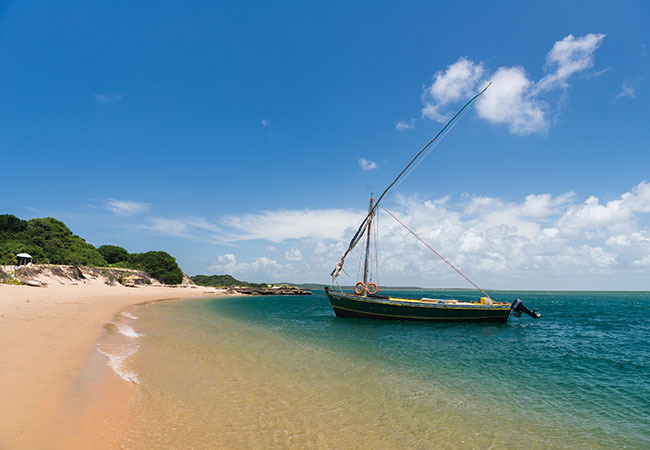 Unlike on that fateful voyage, however, we’re setting a course not for NYC but for a much closer, sandier idyll: Portuguese Island, off the coast of Mozambique. Four days of sun, sea, sand and surf await us. As do a shipload of cocktails, if I’m any judge. 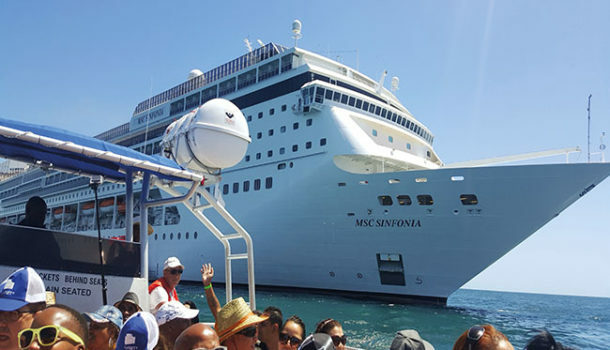 The Sinfonia forms part of MSC’s Renaissance Programme, a R3.5 billion plan to overhaul a handful of its fleet and introduce four new state-of-the-art prototype liners by 2019. And we’re not just talking a small nip-and-tuck here, a new set of drapes there. In early 2015, Sinfonia went under the engineer’s knife to add 24 metres to her total length. And while this may not really sound all that impressive at first, it does as soon as you realise the addition involved bisecting the ship, inserting some 2 200 tons and 193 extra cabins, and then stitching her back up again. As I hear all this information, I say a prayer that those Italian welders weren’t deprived, ever, of their daily espresso. There’s certainly no ugly scarring, though. Inside, Sinfonia is as plush and polished as you’d expect a floating hotel for two and a half thousand guests to be. 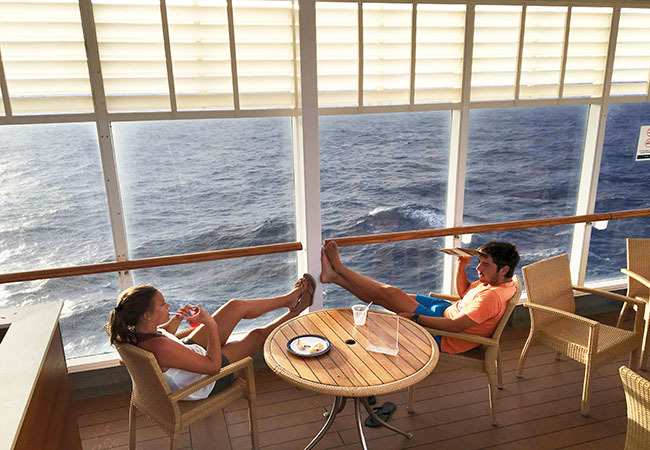 Five cabin tiers are available, from the inside berths to balcony rooms and suites, though unless you have a bizarre predilection for cramped quarters, it’s the roomy public areas in which you’ll spend most of your time. These have all been recently extended and upgraded in line with what I’m mentally labelling Renaissance Plan, and you can’t wobble drunkenly along for more than about a minute on your not-quite-sea-legs-yet without finding yourself in another bar, restaurant or entertainment area. 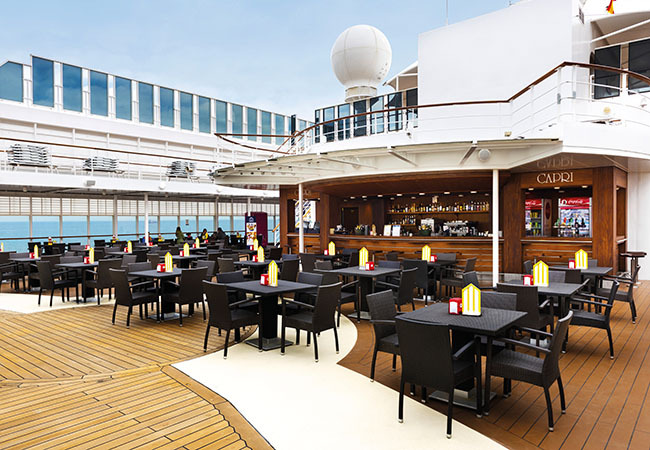 And speaking of restaurants, eating can become something of a competitive sport on board, thanks at least in part to an extra 600m² of deck space dedicated to dining since the revamp. 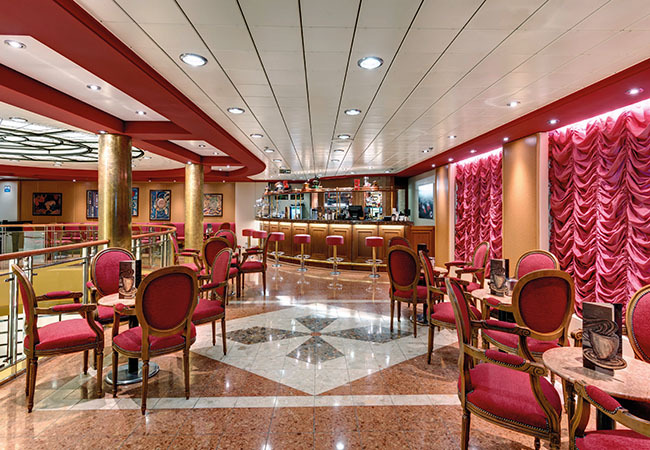 Our options range from white tablecloths and gloved waiters in the formal restaurants, to a canteen-style buffet, pizzeria and burger joint – all included in your cruise ticket price, and all happy to pump you full of holiday fare all day. My cruising companion and I make a solemn vow to take the stairs instead of the elevator for the next four days, then immediately follow the siren call of that Neapolitan-style pizza for the second time in as many hours since we came aboard. It’s too easy, really and more casual eateries and bars are but a stone’s throw from the pools, hot tubs and kiddies’ spray park on the upper deck, so you can happily while away your sea days with all the trappings of relaxation practically at your fingertips. But on the morning after we depart Durban, the captain drops anchor and the real fun begins. 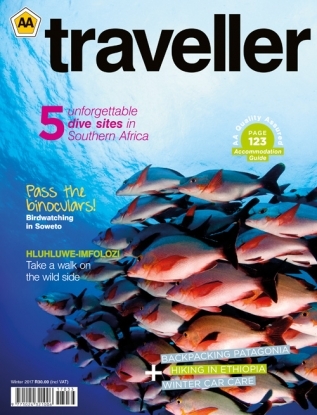 Imagine, if you will, a remote island paradise made up of pristine beaches and warm water, and the occasional mangrove. Got it? Now sketch in a few hundred new friends all clutching brightly coloured drinks and happily getting down in the surf to a DJ cranking out the tunes. Welcome to paradise it’s a party. The tiny Portuguese Island is actually a nature and marine reserve, and for a second I wonder how it is we’re even standing here, let alone drinking out of plastic cups. 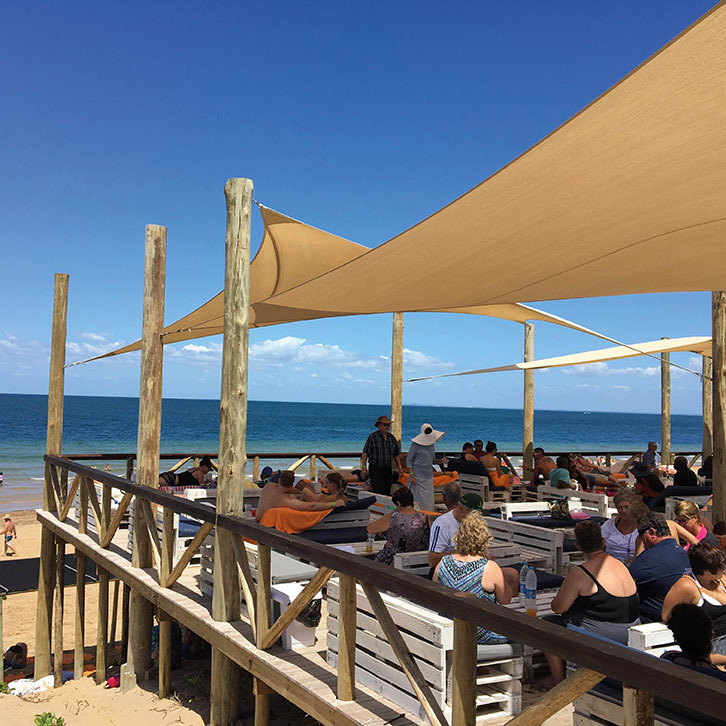 In an agreement with the Mozambican government and various ecological authorities, MSC gets to use Portuguese Island as a shore excursion, and in turn bolsters the neighbouring communities by providing work. Locals are employed to skipper the inflatable boats ferrying passengers back and forth to the cruise ship, to maintain the semi-permanent structure on the island, and to help with the all-important beach clean-up after MSC days. Beach party not sounding like your particular rum cocktail? Once you’re on the island, you needn’t stay put – you can (for a fee) take advantage of the other excursions on offer. Hop a local transfer to nearby Inhaca Island to feast on local seafood, explore its lighthouse or whip out your binoculars for a spot of birdwatching. 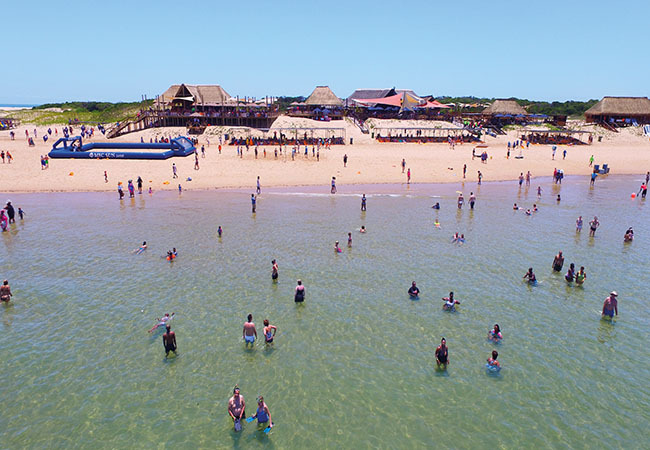 Coral snorkelling, sea kayaking and stand-up paddleboarding will keep the adventurous types busy, while the ‘speed zone’ and ‘fun torpedo’ are written up as being guaranteed to impress your friends (so, calling all 17-year-olds then). We’re well into relaxation mode now, so much so that The Hat has taken over and is calling the shots. This means that we’ve eschewed our snorkelling pursuits and that the full duration of our second day on sunny Portuguese Island is spent lounging in the surf drinking R&Rs, a cocktail of Mozambican rum and bright red raspberry-flavoured cooldrink that sounds much more like a recipe for disaster than it actually is. What might put a damper on the mood, though, is those clouds on the horizon. And sure enough, the next day dawns a little overcast, and gets steadily more gloomy as the hours of R&R and R&Rs on board wear on. By evening, there’s talk of the final big bash on deck being moved indoors. But then, like a real hero and a real human being, our favourite new captain moves the ship a few clicks away and all the open-air festivities are back on. As Gloria Estefan’s ‘Rhythm Is Gonna Get You’ starts playing, the party throttles up into full swing, and gets me thinking. A cruise like this shouldn’t be your first port of call (if you’ll excuse the shameless pun) if your goal is to get far from the madding crowd. Rather, it’s really about embracing the kind of closeness that can come only from drinking rum in close proximity to a few thousand strangers for four days. And so, as the conga line snakes energetically past me, I polish off my fruit-festooned drink and grab the enthusiastic set of hips bringing up the rear. Gloria was right all along. MSC cruises are incredibly popular with families, thanks to the fact that kids can cruise free. They don’t just have to tag along with mum and dad, though; there is an ample array of entertainment and activities suited to the young ones. And since MSC understands the difference a couple of years can make, Sinfonia has no fewer than five kids and teens clubs, each tailored to an age group: one to three, four to six, seven to 11, 12 to 14, and 15 to 17. All prices on board are in US dollars, but MSC Cruises are a cashless society. When you board, you’ll be issued an MSC cruise card. Swipe it to make purchases from cocktails to cologne and your bill will be sent to your room on your final evening. It’s handy to connect your credit rather than debit card to this facility, as it will be charged automatically a few days after the end of your cruise. In the case of a debit card, you’ll need to join the long queues at reception to settle up. You’ll need your up-to-date passport with you when boarding this MSC cruise, as it leaves South African waters. Emigration at Durban harbour can be a lengthy process owing to passenger volume (and Transnet staffing), so it’s worth spending the extra money on a fast-track ticket to get yourself through more quickly. Since you won’t be spending any nights on Portuguese Island, prophylactics against malaria aren’t strictly necessary. There is a medical team on board should you be taken ill, but we’d recommend stashing your own anti-seasickness and/or nausea medication in your carry-on luggage to save you some time in the event that you feel a bit wobbly.